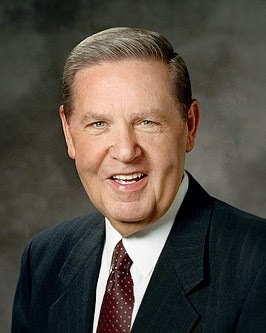 "In an even more serious kind of spiritual warfare... the day may come—indeed, I am certain will come—when in an unexpected circumstance or a time of critical need, lightning will strike, so to speak, and the future will be in your hands. Be ready when that day comes. Be strong. Always be clean.... I testify that the call in every age—and especially our age—is Joshua's call: 'Sanctify yourselves: for to morrow the Lord will do wonders among you.'" The quote from Winston Churchill has always challenged and inspired me. There will come a moment, or maybe more than one, in each of our lives when we are challenged to do something special and unique, suited just for us and our gifts. Will we be ready when that moment comes? Will we be willing, available, prepared, listening, and eager? To be "unprepared or unqualified" in that critical moment surely would be one of life's greatest sadnesses. 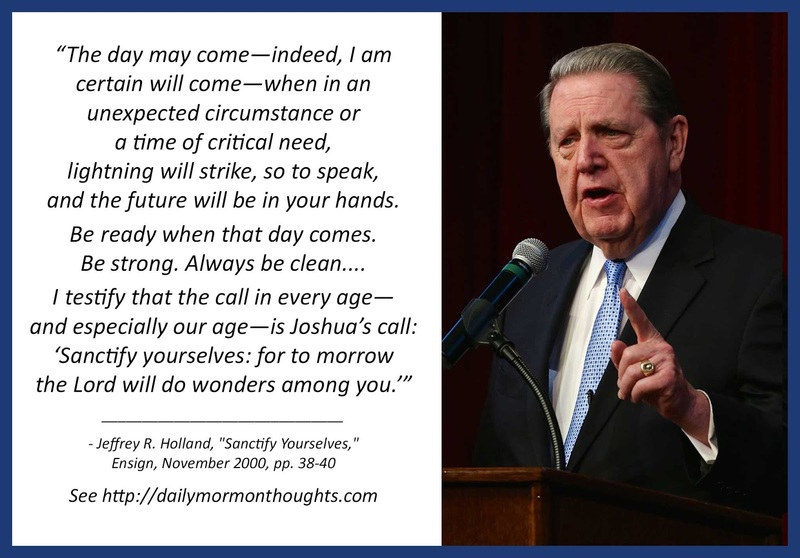 Elder Holland challenges each of us to be ready, to be strong, to be clean—so that when our moment comes, we can take full advantage of the opportunity. The Lord truly will do wonders among us. How critical for us to be sanctifying ourselves every day, every moment, in order to fully be ready!